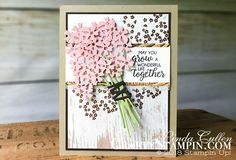 The Stampin Up Limited-Time products Color Your Seasons promotion has some fabulous products. For my Christmas card I used the Blended Seasons stamp set and the matching Stitched Seasons framelits dies to create a simple and fun card. Find out more about the Color Your Seasons Limited-Time Products here. Get Double Frequent Buyer Points for the rest of August – More FREE Stamps. Bonus Days – Get a $5 coupon for every $50 purchase in August. Get my latest Online Craft Card Class here. 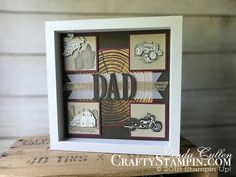 Stampin Up Holiday Catalog Product Shares are coming!!! Check out my prior shares and jump on my Newsletter mailing to stay informed. I hope to have details early next week!!! Next Coffee & Crafts Facebook Live will be Tuesday, August 21st @ 11 am EDT. ** Over the summer C&C will not have a strict schedule. I like the plaid layer. It doesn’t overpower the sentiment layer. Like the other samples,too.